The wall of the fort is regarding fifteen kilometers long and is claimed to be the second largest once the ‘Great Wall of China’. The Fort conjointly incorporates a forest space called the Kumbhalgarh park wherever you get to examine leopards, panthers, wolves, nilgai, sambhars and four-horned antelopes. Visit the Udaipur Palace advanced for its exceptional repository and vintage automobile assortment. 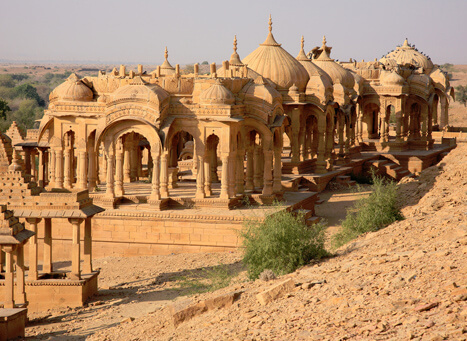 Places like Bagore ki Haveli and Shilpgram to expertise the art types of Rajasthan initial hand. Day first Our representative will meet you and Pickup from Jaipur airport or railway station by placard transport driver and transfer to the hotel. 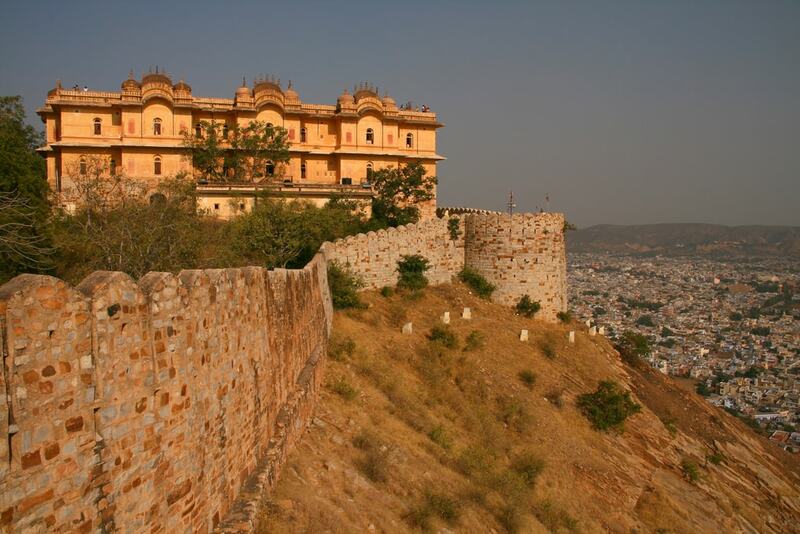 once reach the hotel we'll visit the fabulous Pink city, the recent Jaipur. Drive through the Johari Bazaar to the Hawa Mahal. after that, we'll Visit the assorted museums inside over there and also the Town Palace and also the ancient observatory, Jantar Mantar. Pay a visit to the Govind Deoji Temple, housing the patron deity of Jaipur. Evening free for looking or your own activities. overnight stay at the hotel. Day 2nd after Breakfast we will do also elephant ride in Amber and visit the Hawa Mahal, Bazaar of Jaipur, Laxmi Narayan Mandir, and have a dinner with a presentation of Indian music and dance at Chokhi Dhani. Then we will stay at the hotel for the full night. After Breakfast in the morning, we will go drive to Pushkar. After reaching at Pushkar check - in to the hotel. In Pushkar visit the temple of God Brahma and also the Pushkar Lake. After come back we will stay at our hotel. After early breakfast, we will drive to Jodhpur. After reaching Jodhpur Check - into the hotel. 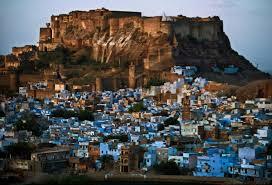 The afternoon we can visit the Mehrangarh Fort, Jaswant Thada, and Bazaars of Jodhpur. Then we can come back to our hotel and stay full night. After breakfast in the morning, we will go drive to Udaipur. Enroute we are going to visit Ranakpur Hindu Temples. After prayer in the temple, we will come back our hotel and stay for the full night. early in the morning, we will visit Sahelion Ki Badi, City Palace and more. After enjoying the sightseeing will come back to the hotel for stay full night. In the last day after having breakfast drive to Udaipur and will come to Jaipur again. 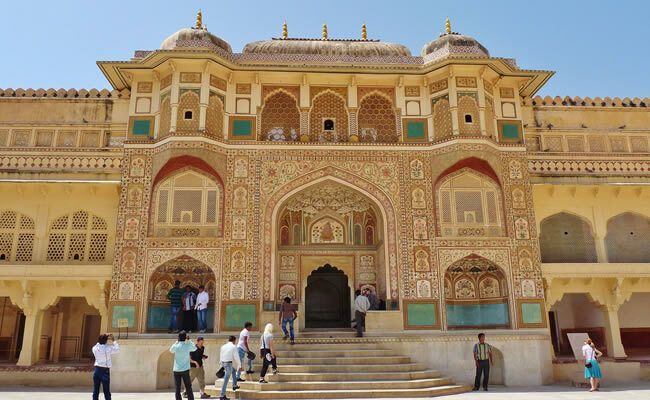 Your Jaipur - Udaipur tour package finish will be after reaching If you are doing family planning for the tour then we will arrange 9 seater tempo traveller with this package.